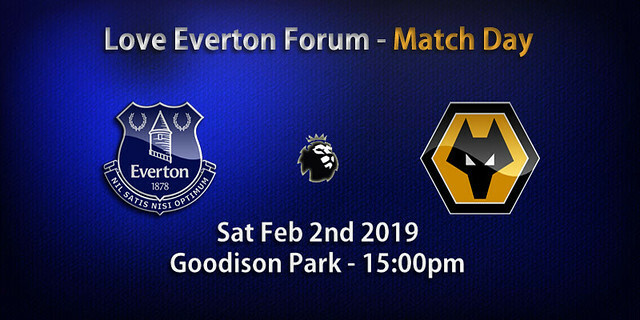 Everton will aim to secure back-to-back Premier League victories when Nuno Espirito Santo’s Wolves visit Goodison Park on Saturday. The game represents Everton in the Community’s annual designated birthday fixture and will see the Club’s official charity turn 31! Established in 1988, EitC supports more than 20,000 vulnerable and under-privileged individuals a year. More than 40 programmes are in place which help to combat issues prevalent on Merseyside including employability, poverty, mental health, education and youth justice. There will be activities throughout the build-up to the game to mark the EitC landmark and volunteers will be active on the streets around Goodison collecting donations for the charity. As usual, there are a host of options for fans to enjoy the best pre-match build-up across the Fan Zone, Matchday Hub, St Luke’s Church and Community Hub. Presented by Guilia Bould, the Fan Zone is open from 12pm. There will be various representatives from Everton in the Community talking on the Fan Zone about the work and achievements of the charity over the last year. Live music will be provided by The Gear, while former Toffees defender Craig Short will provide expert insight and team news reaction. As usual, fans can get involved in the fun and games by playing Blue v Blue and Play Your Cards Right. There is also plenty of food and drink on offer. Please note, too, that supporters can bring donations for foodbanks while their will also be a collection for EitC. Open from 12pm, the Matchday Hub continues to be the perfect pre-match hot spot for Blues of all ages. In the build-up to the game, the Hub will be offering face painting, music and a games area. There will be a crafts session with a competition to create the best EitC 31st birthday poster. The winner will receive a £25 Everton tour voucher. And if that’s not enough, EitC will deliver three football coaching sessions: Ages 5-7 at 1pm, ages 8-10 at 1.30pm and ages 11+ at 2pm. Food and refreshments available include a children’s meal deal of chicken nuggets or a giant sausage roll with fries and soft drink for just £5 and an adult offering of steak and ale pie, chips, peas and gravy also for £6. Get the name of your favourite Everton player on the back of your shirt. 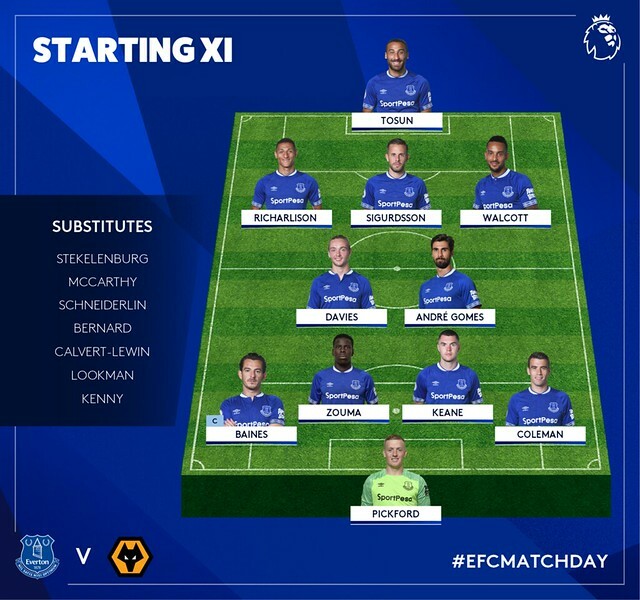 Could it be Richarlison, Andre Gomes or Bernard? Everton One - the Club's megastore opposite Goodison Park - is open before and after the game. Open from midday, the EFC Heritage Society will be selling Everton programmes, books, memorabilia and autographed items from players past and present. Ronny Goodlass will be signing copies of his book, Blue Nose, between 12.30pm and 1.30pm. Upstairs, Toffee Art will be selling from their wide range of artwork, prints, t-shirts and coasters, while The Ruleteros are also present selling souvenirs of the Everton club in Chile. The popular Teas for Fans will be located in the church hall. Open from 12.15pm, it is the perfect place for Evertonians to chat about all things Blue over a cuppa prior to kick-off. Evertonians can grab a coffee and something to eat before the game in a relaxing atmosphere at the People’s Hub. It will be open from 12pm until 2.30pm and offers pre-packed sandwiches, tea, coffee, soft drinks and snacks. Marco Silva held his pre-match press conference on Friday ahead of this weekend's Premier League clash at home to Wolves. Everton return to Goodison Park on Saturday looking to build on their 1-0 victory at Huddersfield Town in midweek, knowing another three points is likely to lift them to seventh place in the table. 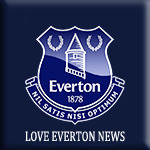 - Leighton Baines (ribs) and Idrissa Gana Gueye (groin) will be assessed on Saturday to see if they are available to play, but centre-backs Yerry Mina and Phil Jagielka remain injured. - Silva on how he was pleased to keep hold of a player of Gana's quality after a deadline-day bid from Paris Saint Germain. - How the manager's focus is now on his talented squad and Saturday's visit of Wolves. - The importance to build on Tuesday night's win and clean sheet at Huddersfield in front of a strong atmosphere at Goodison. - The need to be stronger with and without the ball against Wolves and deal with their counter-attacking.